Anibar International Animation Festival is known for introducing the world of animation to the people of Kosovo on a bigger scale. Through the festival and organization for eight years now, we have come face to face with the people and have seen their need and passion to be educated in various areas that interest them. The educational component is crucial to us and it motivates us to act and provide that that is necessary through the means that we have. Today’s youth are more inclined to enjoy what the digital world is offering. If we use that desire and turn it into a strategic learning tool it can be used as a creative and productive way of expressing themselves. The connection between film and technology is undeniable, their histories are so deeply intertwined that thinking of them separately is often an obstacle to understanding how the film and technology industries operate or how people experience them in their everyday lives. We are strong believers that films can be a very powerful educational tool in the same aspect as technology, especially for children, so how can we offer them that in the situation that we are living today, and provide them with the mesmerizing experience of making a film? The best way to reach our goal is to partner up with amazing organizations such as IPKO Foundation whose goal is to seed and support the development of the next generation of leaders with a digital vision for Kosovo, and through projects like Junior Oscar, a project that gives a creative way of expressing the boundless imagination that children have. The purpose of this project was to bring forth and enhance student’s competencies on innovation, creation, and teamwork. Students worked together in groups (classes 1 to 9) and choose a theme to produce a short film for the purpose of leaving a long-term and impactful message to the audience. Junior Oscar as a project enabled young participants to be introduced to the process of making a film, gain basic skills, knowledge, confidence, express their creativity, and enjoyment of working in a film and most importantly learned the value of working as a team. This project is a necessity to this day education program, it offers an open space for them to express themselves, to improve in the long run and to inspire young generations to participate in projects that help youngsters develop their creative skills and offer an extracurricular activity. The timing has never been better for using technology to enable and improve learning at all levels, in all places, and for people of all backgrounds. 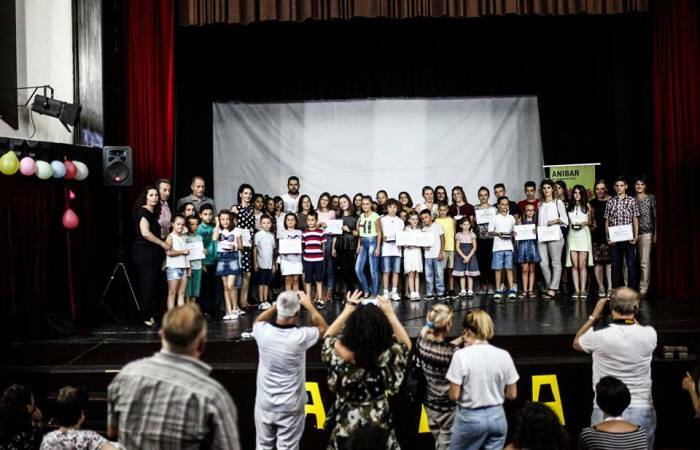 We feel very lucky to have amazing friends such as IPKO Foundation, that support us in important projects like Junior Oscar and help in creating such activities that shape the young generations minds.